Coalition For Family Harmony | What is Abuse? It can happen to couples who are married, living together or who are dating. Domestic violence affects people of all socioeconomic backgrounds and education levels. Abuse is a repetitive pattern of behaviors to maintain power and control over an intimate partner. These are behaviors that physically harm, arouse fear, prevent a partner from doing what they wish or force them to behave in ways they do not want. Abuse includes the use of physical and sexual violence, threats and intimidation, emotional abuse and economic deprivation. Many of these different forms of abuse can be going on at any one time. 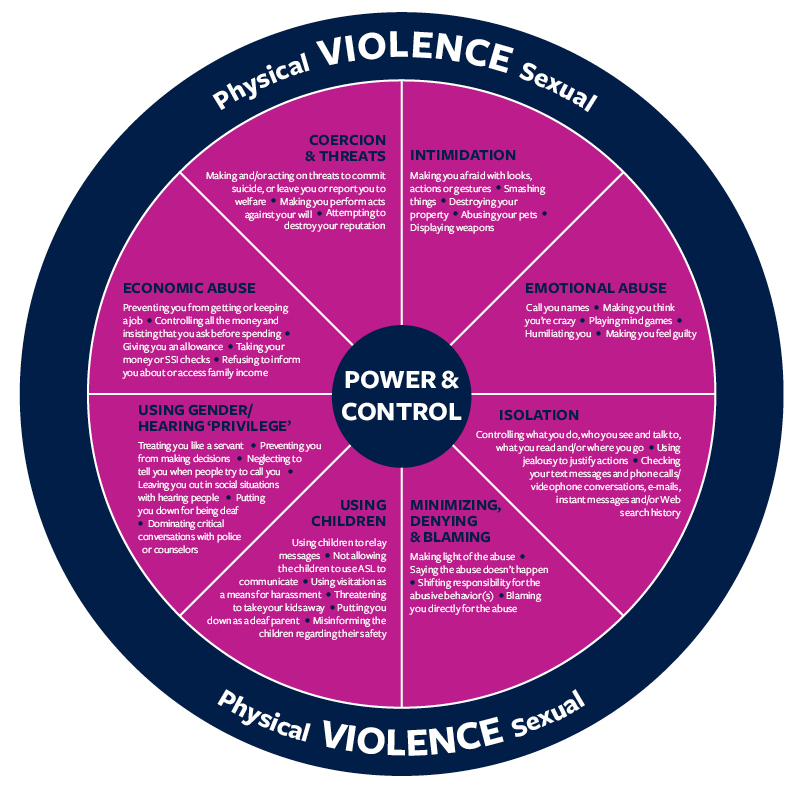 Here at The Coalition, we use the Power & Control Wheel to describe most accurately what occurs in an abusive relationship.